Join now and save $250 on your next system replacement or qualifying accessory purchase! Become a Price Services “PRIORTY MEMBER,” through an Energy Maintenance Agreement (EMA). An EMA is designed to maintain system efficiency, keeping operating cost at a minimum and extending the life of your system. Correct minor problems before they become costly repairs. Choose the plan that best fits your needs from the options below. 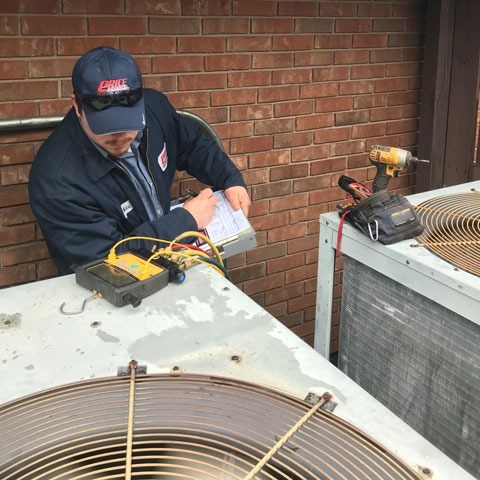 All EMA customers receive “Priority service” status, discounts on all repairs based upon chosen plan, all diagnostic fees waved on repairs, a one-year parts warranty on all paid repairs, and peace of mind that your system is operating at peak efficiency.